Moving image formats, whether they are held on film, videotape or a digital format, are fragile. Ideally they would be looked after by a specialist archive like MACE but, if you want to keep them at home, here are some golden rules for limiting decay and reducing the risk of losing them. Keep film and videotape in a cool dry place where the temperature is as stable as possible all year round. Changes in environmental conditions do more damage to film and magnetic tape than most other factors. Keep film stored flat (horizontal). Be aware that film shrinks over time and that running old film on a projector could tear it; or worse. Better to get it copied by a reputable transfer facility and watch it on a television or computer. 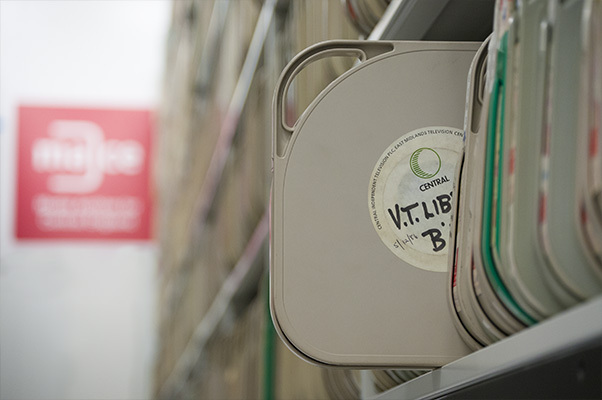 If you have your film transferred to a digital format retain the original material if at all possible. Film generally holds more information than a compressed digital copy and can be copied again if necessary. Keep videotape stored upright (vertical). Make sure that you have more than one copy of your digital files. This could be on a separate hard drive or in the cloud. Keep the copy in a different place from the original. Regularly transcode your digital files to a modern file format to avoid the impact of codec obsolescence. If you have 35mm film and are concerned about it being cellulose nitrate, and therefore flammable, please contact us as soon as possible. A leaflet produced by the Health and Safety Executive about nitrate film can be found here. 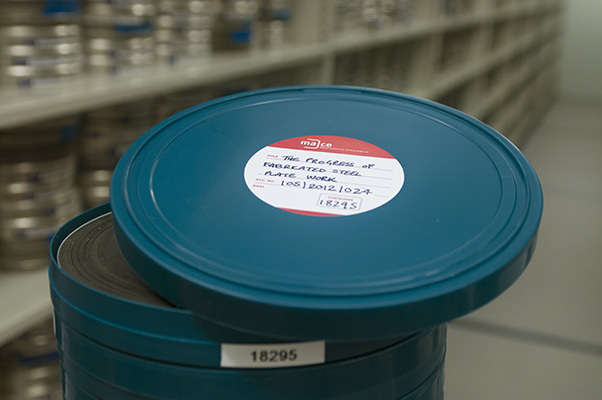 Link 1 - A summary of the basic principles of film preservation provided by the Library of Congress in the US. Includes how to identify film gauges, general care and handling, storage and further links. Link 2 - Provided by the Australian National Film and Sound Archive this document answers some of the more basic 'frequently asked questions' about looking after film. Link 3 - Written by the British Film Institute these guidance notes refer to videotape as well as film. 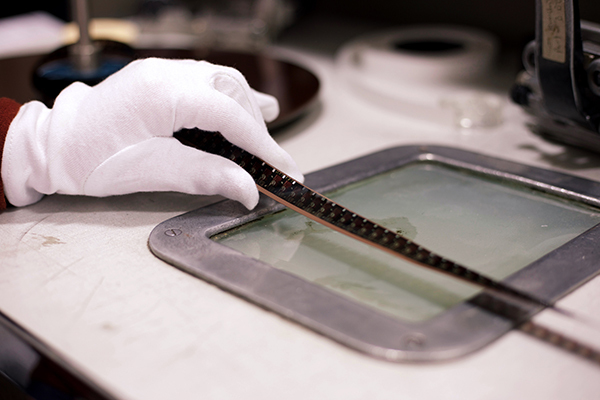 The document also includes information on film and video conservation and preservation, identifying film and video formats but, most importantly, it provides an identification sheet on to which you can lay your film to accurately determine the gauge of the film in your possession. Link 4 - Links to other resources provided by Film Archives UK.